The problem with big data is it’s too impersonal, says Jeremy Rix. But what does this have to do with giraffes? Read on to find out. Don’t be confused by the giraffes. This column is about big data. 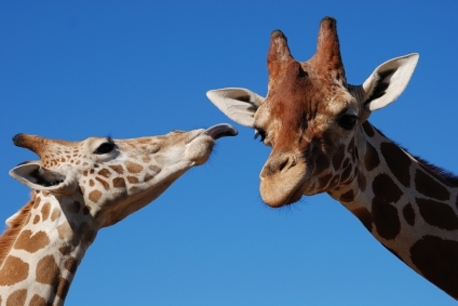 It’s about giraffes too, but they’re pretty much incidental to the point I’m trying to make. Perhaps I should explain. My brother-in-law Dave studies zoology. Recently he was telling me about a study he and his classmates were carrying out involving zoo giraffes. They had to observe the giraffes and make a note of what they were doing every five minutes in order to assess the impact that living in captivity had on their behaviour. So what does that have to do with big data? Well, we know that observed behaviour data is important. People often don’t do what they say they’ll do and have trouble sometimes explaining why they’ve done what they’ve done. This is equally true of giraffes. But where the real similarities lie is that, like Dave’s giraffes, our big data sets are captive. They describe the behaviour of people within certain, defined environments – whether it’s on the internet, or in relation to a specific brand, product, service or aspect of their life. That’s a problem in itself. But the bigger issue is that reducing customer behaviour to a bunch of ones and zeroes makes it’s easy to forget the human behind the numbers. Again like Dave, we become detached from our subjects. And by becoming detached, we stop appreciating them for what they are. At a recent conference, an internet entrepreneur was heard to recommend that start-ups get customers to pay for the privilege of being the test-bed for new products and services which are launched early and then perfected whilst live – rather than go to the trouble of paying for some upfront research. Is that anyway to treat your customers? To my mind, small data – which provides us with windows into the real worlds of individuals – makes this kind of product experimentation feel more awkward. There’s a level of intimacy inherent in small data that prevents us from becoming detached. The observer recognises human qualities, whether shared or not, in the observed. And moving beyond observation to interaction creates empathy. Arguably, that empathy is a crucial element of product or service design – and it’s something that big data alone can’t deliver. In addition, through that window we are seeing the customer in the round, not in captivity. We see a whole person; not just traces of behaviour when they are operating in a fenced-off environment. Agreed, Jeremy -- big data and predictive models only help us improve the odds of a successful interaction based on what we observe in the setting in which we observe it.